You will find the ultimate party cocktails and healthy smoothies here at Fearless Dining. All of these are fancy drinks. I have only recently ventured into creating craft drinks, but I think you will love what I have come up with. I make healthy smoothies all of the time, but surprisingly I don’t have that many on the blog. If you have some favorites, drop me a line :-). This is my most recent drink recipe on the blog. Pink grapefruits are in season and they are so sweet. Add in some spice like a sriracha salted rim, and it is over the top good. 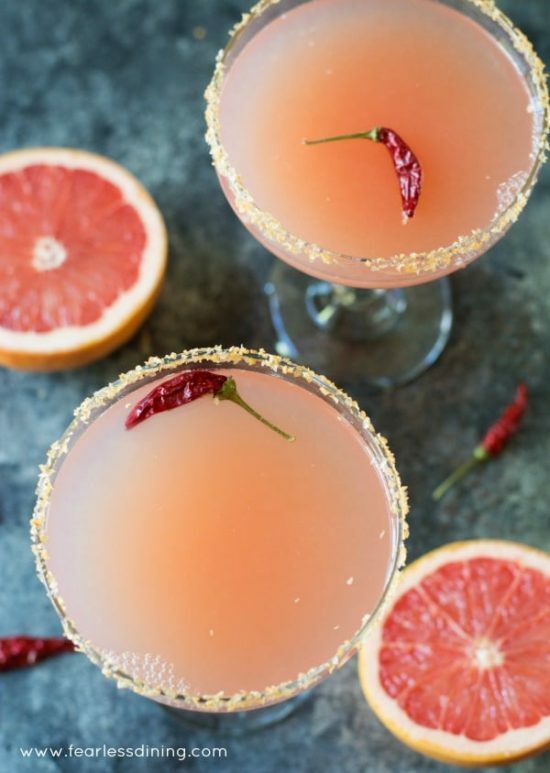 These Pink Grapefruit Margaritas are perfect for Cinco de Mayo celebrations, or for happy hour. My next favorite is my very first cocktail recipe on Fearless Dining. 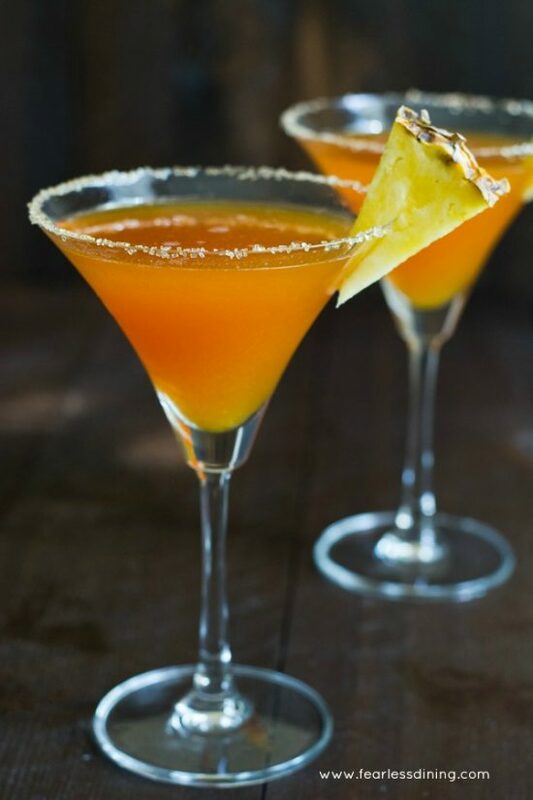 This Bourbon White Peach Cocktail is full of honey sweetness from fresh white peaches. This is another drink I blended in my Vitamix. I literally dropped in the fresh fruit, ice and added bourbon :-). If you love tequila, this flavor combination may come as a surprise…in a good way! 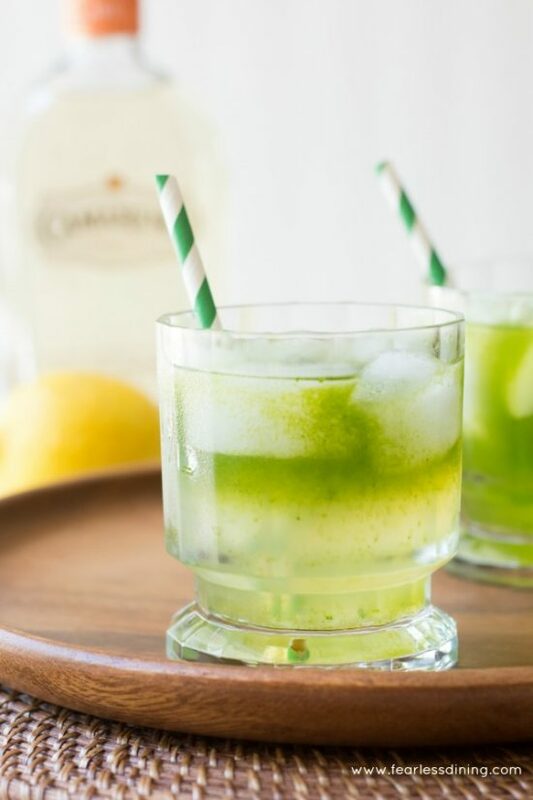 Tequila Lemonade with Cilantro is a fancy drink in appearance, and even more so when you taste it. This cocktail recipe is based on a drink we had at a restaurant not too long ago! I have also begun to experiment with some unusual fruits to make craft cocktails. Wait until you see what can be done with cactus fruit, currants, and dragon fruits!! Cactus fruit has long been a favorite of mine. The bright colors, like orange and hot pinks. This special Prickly Pear Margarita is beautiful for a party. You can use hot pink cactus pear fruit too like in this easy prickly pear syrup recipe. Have you tried a dragon fruit? 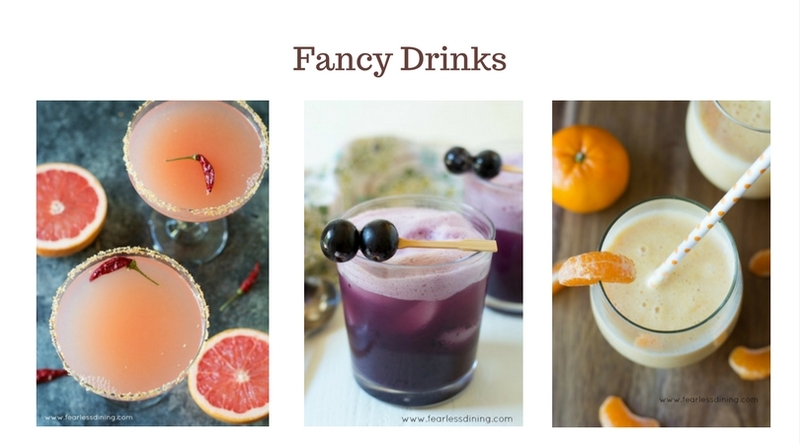 Their little black seeds make for a pretty fancy drink recipe! 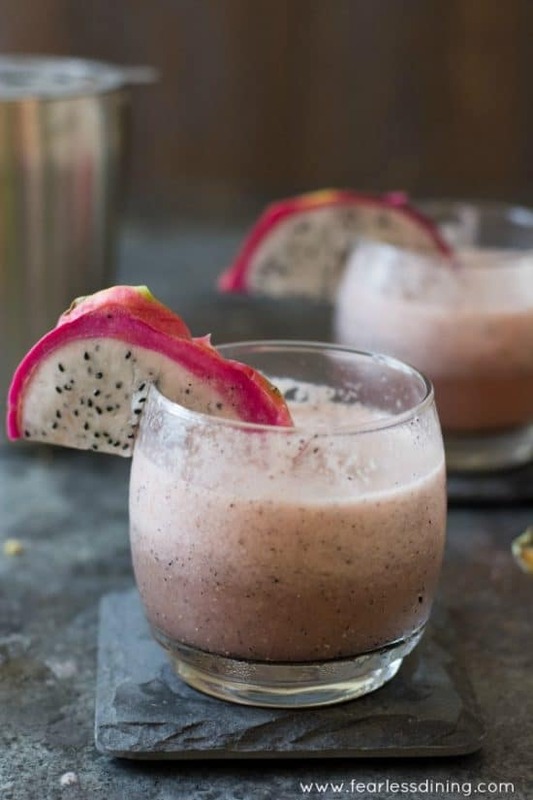 Here is my favorite Dragon Fruit Cocktail with Vodka for you to try! 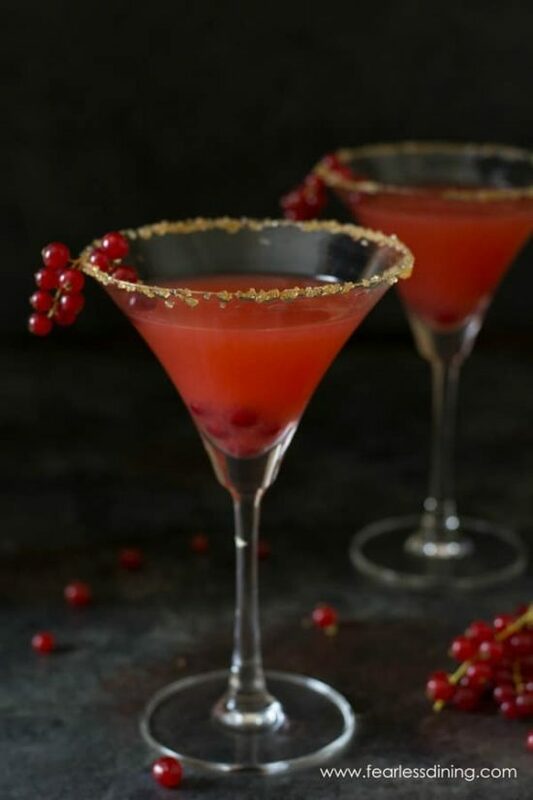 Lastly, check out the vivid bright red of this Red Currant Margarita. The ginger sugar along the rim makes such a fun accent flavor for this margarita! What are your favorite party drinks? Drop me a line and let me know! Enjoy some delicious gluten free appetizers and make it a party!